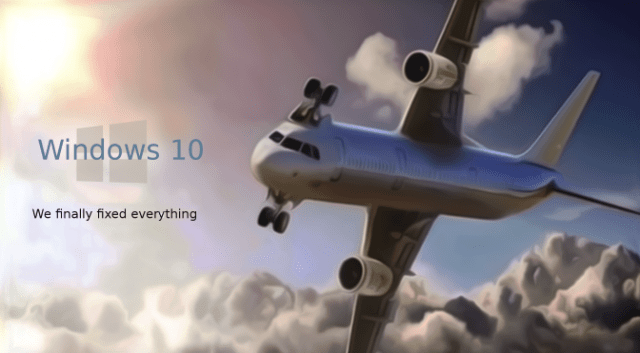 Republic Broadcasting Network » Get rid of ‘Get Windows 10’ notification with this download. Get rid of ‘Get Windows 10’ notification with this download. Don’t want to see upgrade notifications? Don’t want that blasted pop-up window – that is practically impossible to close – to KEEP POPPING UP? Here’s one way to work around the hassle, besides smashing your computer. This is a free tool that can remove and disable the ‘Get Windows 10’ notification area icon on Windows 7 and Windows 8. Recent versions can also disable ‘Upgrade to Windows 10’ behavior in the Windows Update control panel and do much more. See the user guide at the Ultimate Outsider blog. You can still download GWX Control Panel as a standalone executable if you don’t like installers. Please see the “GWX Control Panel Release Notes and Version History” post at the blog for MD5 and SHA-1 checksums of all official releases. Comments Off on Get rid of ‘Get Windows 10’ notification with this download.